Driving home today from the cottage, we decided to take the old Perth Road rather than Hwy 15 down to the 401. The Perth Road has an extra bit of charm to it. Being geographers, we enjoy the leap-frogging of limestone-then-granite-then-limestone-then-granite-then-(finally)-limestone of the Fontenac Arch. But then there are the stone cottages built around the time the Rideau Canal was put through almost 200 years ago. There are even some log cabins that look near-original. The rollings hills of granite and white pines through the Frontenac Arch area, some lovely farms and dozens of lakes and you have a combination seems to work its charm on us. Then, there’s Westport, a lovely village below Foley Mountain at the head of Upper Rideau Lake. 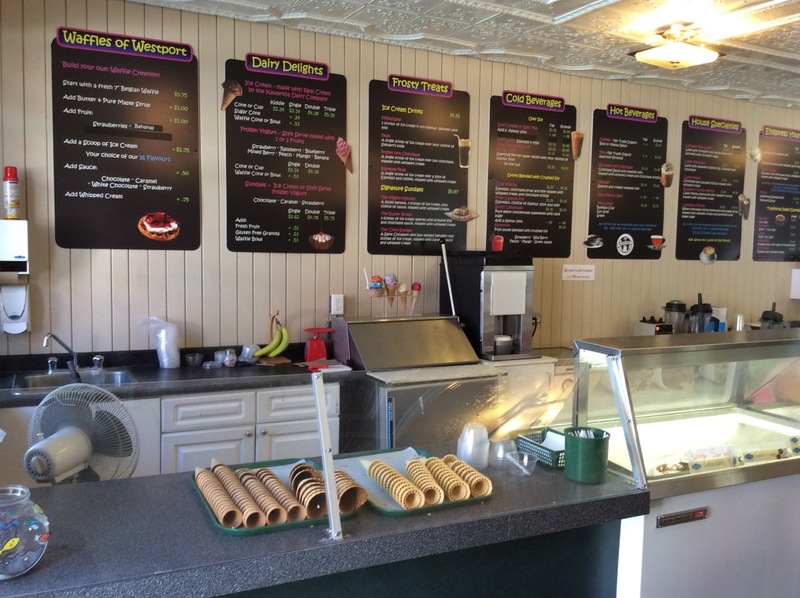 A perfect place to stop for ice cream. 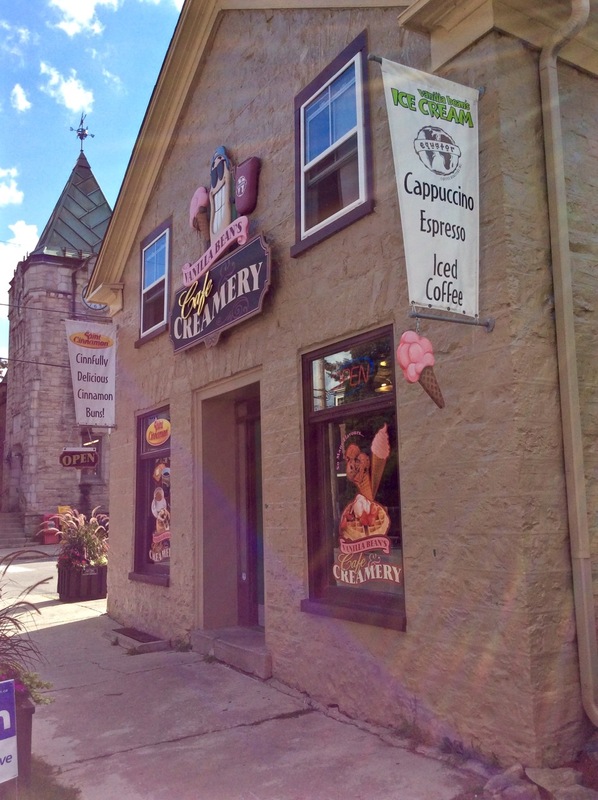 The Vanilla Bean Café & Creamery has Kawartha Dairy ice cream is right on the main drag and has over a dozen flavours. Its café side offers espressos, cappuccinos and cinnamon. You can eat in at the café tables or outside on the sunny patio. A lovely spot!